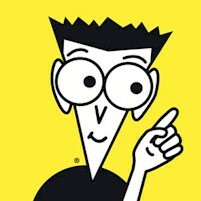 Stephanie Ciccarelli and David Ciccarelli are the founders of Voices.com, the largest global web hub for voice actors. Over the past 9 years Stephanie, David, and their team have grown Voices.com from the ground up to become the leader in the industry. 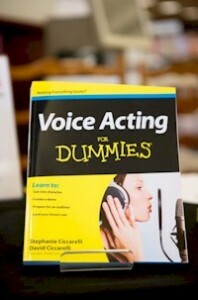 This article was originally published in Voice Acting For Dummies and has been republished with permission from John Wiley and Sons, Inc. In this section, you will discover the different options out there for recording and editing software. Some, like Audacity, are free to use, and others, like Pro Tools, require more of an investment. Audacity is a free, easy-to-use audio editor and recorder for Windows, Mac OS X, GNU/ Linux, and other operating systems. You can use Audacity to record live audio, convert tapes and records into digital recordings or CDs, edit Ogg Vorbis, MP3, and WAV sound files, cut, copy, splice, and mix sounds together, change the speed or pitch of a recording, and more. GarageBand lets you easily perform, record, and create your own music. Whether you’re an experienced or aspiring musician or just want to feel – and sound – like a rock star, the new version of GarageBand can get you there and even record multiple tracks at the same time. GarageBand is for Mac only and comes free with most Mac computers. Designed for demanding audio and video professionals, Adobe Audition offers advanced audio mixing, editing, and effects-processing capabilities. Its flexible workflow, combined with exceptional ease of use and precise tools, gives you the power to create rich, nuanced audio of the highest possible quality. Pro Tools is the professional recording, editing, mixing and mastering software for Mac and PC users and is considered the industry standard. The manufacturer, Avid, offers Pro Tools HD for professional grade studios and also provides the Pro Tools Express version bundled with the Mbox audio interface for the more budget conscious. You’ll have everything you need to create and produce music with professional results regardless of whether you choose Pro Tools HD or Pro Tools Express. Whether you’re looking for an all-in-one audio/MIDI solution with an integrated control surface or simply a highly portable Pro Tools system, there’s a powerful solution designed to satisfy your creative needs. You may be afraid of Pro Tools, perhaps in part to its complexity and price, but it’s good to know that it provides both a hardware and software solution. Many of you won’t have a need for the multitracking capabilities that Pro Tools provides; however, if you do get into any kind of production work, this is the industry standard. Most voice actors use additional tools to help them make cleaner recordings. Others employ the use of headphones to help them gain a better appreciation for how they sound. In this section, you discover a number of extras that help complement your studio and enhance your performances from a technical standpoint. If your audio recording program only exports a WAV file, you need an audio conversion program. The easiest way to convert files into MP3s is using iTunes. Many people use iTunes as a file converter and may even store session files in there. If you’re looking for more noise reduction or need something that gives you the portability of a voice booth, you may want to get a pop filter. This piece of equipment sits on the mic stand and acts as a portable booth, weighing all of 11 pounds. The microphone mounts right into the centre of it, and you can use it in any room to turn it into a studio environment. We recommend the sE Electronics Reflexion Filter as a pop filter. It acts as if you’re standing in a whisper room or recording studio. If you have a lot of external noise (such as road traffic), the sE Electronics Reflexion Filter won’t block it out, but it’s very good otherwise for recording in a quiet room. For simpler editing software solutions, try Amadeus for the Mac and Adobe Audition for PC. Both are easier to use and don’t cost as much as the audio recording industry-standard Pro Tools. Audacity (can be used on both Mac and PC) is free to use and perfect for voice actors who want to get started without spending any money on an audio program. Not everyone uses headphones when recording, but in some instances you may need to wear headphones. Some voice actors see headphones, or cans as they’re sometimes called, as a distraction that takes away from their ability to perform. When you have a set of headphones on, you may experience the tendency to focus more on how your voice sounds processed than on your artistic performance. Not only can headphones be a vocal distraction that keeps you from excelling in your performance, but they also can inhibit your ability to move and use your whole body as a voice actor. Remember that the headphones are plugged into something and therefore make it harder for you to let loose in the booth. Another benefit to not wearing headphones is that you won’t have more than necessary being piped into your ears. If you’re weeks into a recording project, the last thing you want is to redo all that hard work because you didn’t back up your work. Right? Right. So invest in an external hard drive to back up your computer! You have some good options for backing up your work. You can buy another hard drive for as little as £40 that connects to your computer with a USB cable. External hard drives come with back-up software that makes the process pretty easy. Then, save your important files to the external hard drive. Look for a hard drive that has at least 1 terabyte (TB); One TB is equal to 1000GB of storage (enough space to store at least a dozen large projects). The software you use is important. 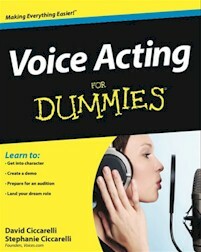 Are you ready to learn more about voice acting? 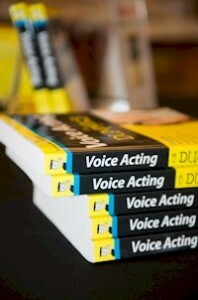 To discover more about this exciting field and about the book, visit VoiceActingForDummies.com. Previous post: EVACUATE PLANET EARTH …The Fremuluns are coming! U.F.OH!! !